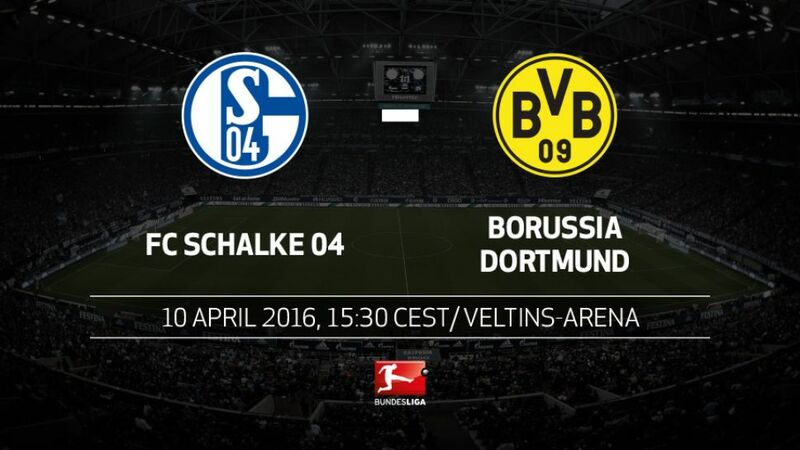 Fireworks are guaranteed when FC Schalke 04 do battle with Ruhr district neighbours Borussia Dortmund in the 88th Bundesliga Revierderby on Sunday (kick-off: 15:30CEST/13:30GMT). Games between the two clubs are always impassioned affairs, but with Schalke one of six sides vying for one of the two remaining places in the top four and Dortmund with designs on FC Bayern München's throne, the contest carries added significance. The Royal Blues were comprehensively beaten by promoted FC Ingolstadt 04 last weekend, whilst second-placed Dortmund extended their unbeaten run in 2016 to 11 Bundesliga matches thanks to a battling win over SV Werder Bremen. Dortmund have already qualified for the group stage of next season's Champions League.BVB top the Rückrunde form table (W9, D2).With 67 points after 28 matches, Dortmund would have topped the table in 49 of the 52 Bundesliga campaigns to date.A second-placed team has managed to overturn a five-point deficit with six matches remaining twice before: Bayern usurped SV Werder Bremen in 1986 and Dortmund pegged back Bayer 04 Leverkusen en route to the title in 2002.Schalke collected an impressive 16 points from their first seven matches of the season, but their record since reads: W8, D4, L9.Schalke have averaged 1.6 points per game under Andre Breitenreiter compared to 1.5 and 1.8 respectively under former coaches Robert Di Matteo and Jens Keller.After Dortmund, the Royal Blues face FC Bayern and Leverkusen. They picked up just a point from the three reverse fixtures earlier in the campaign.There has not been a single sending off in the last 11 derbies between Schalke and Dortmund in the Bundesliga and Supercup; only 46 yellow cards and one penalty kick.Dortmund striker Adrian Ramos has had a direct hand in a goal every 46 minutes this season, making him the most effective Bundesliga player of 2015/16.